This is the one I consider my best. She took a lot of time & was very satisfying. I included the original "sketch" and "finished" piece from 2012 for the fun of it (pic 1 & 2). Over time there were things that I thought I could improve. When I retired I had lots of time on my hands. I took several weeks in 2017 (pic 3 & 4) to rework the things that were bothering me. 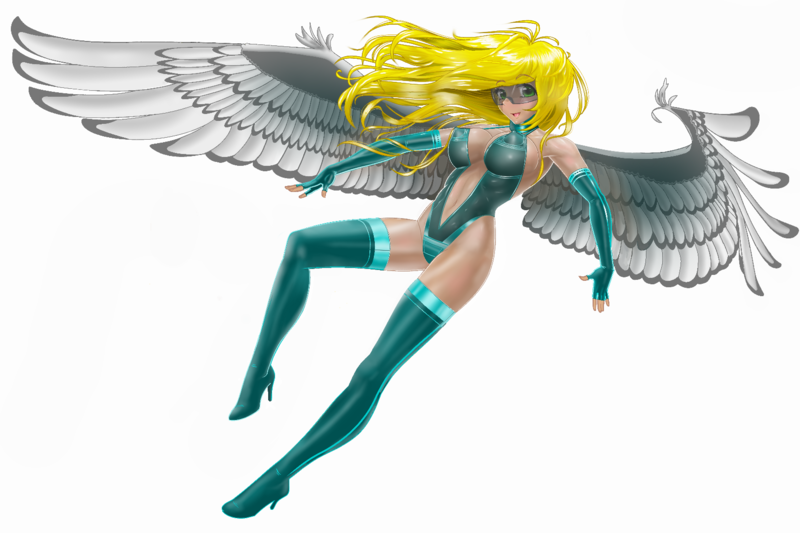 This included her pose, her face, her body muscularity and the perspective of her wings. The last pic is the "Safe For Work" version with a bodysuit. I added the goggles because I thought that if her hair was flying around like it is, it would be constantly getting in her face and eyes & make it difficult for her to see where she was going. Even now I look at this piece in disbelief with the knowledge that I created it. Great Don. I enjoyed viewing the development. That feeling is rare but it indicates improvement.